Bellisima Salon would like to thank you for taking the time to explore our website. We hope you enjoy learning more about us, our services and the quality line of products that we offer. The Bellisima Salon staff is a progressively trained group of salon professionals. Explore the "About Us" section and you will see staff bios and their individual hours of availability. Our goal at Bellisima Salon is to provide our guests with a friendly, comfortable atmosphere that invites you to sit back, relax and take time out for yourself. 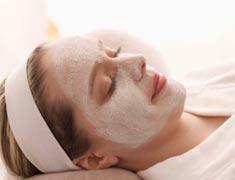 You will leave looking beautiful and feeling refreshed.